Amazon.com Price: $20.75 (as of 22/04/2019 10:20 PST- Details) & FREE Shipping. 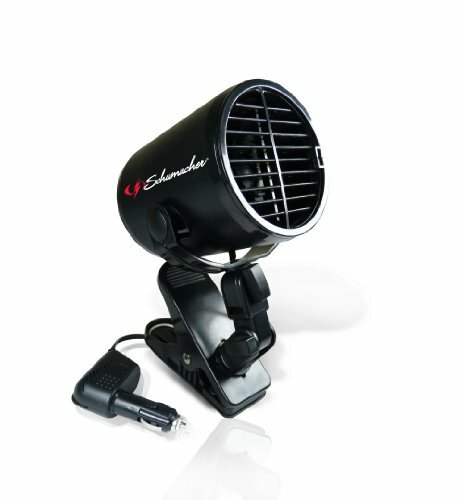 Schumacher’s turbo fan has directional variable speed control with a heavy duty mounting clamp. Increases the air circulation in your vehicle, with a convenient flexible arm for multiple positioning. Schumacher’s 12 Volt products provide the comforts required by the professional drivers and travelers of today.